I drank one of these bad boys nearly every other day when I lived in Panama–I couldn’t get enough. 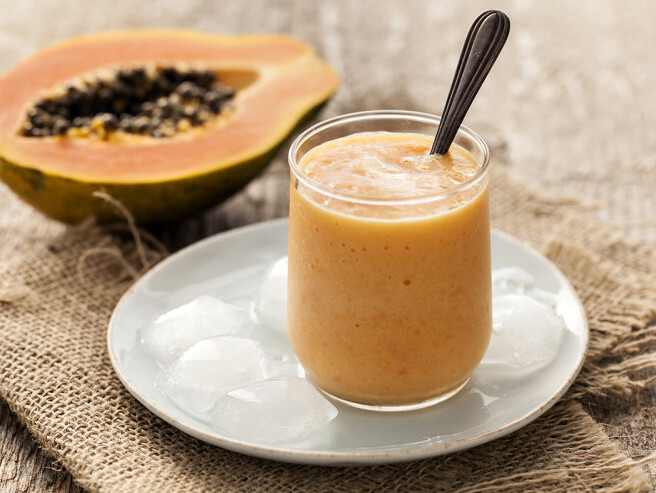 Batidos are like smoothies, consisting of fruit, ice, condensed milk or honey, and milk (often in powdered form.) They’re creamy and icy at the same time–making them the perfect treat for warm days. Throw all the ingredients in a blender until smooth, but still have small visible shards of ice. Enjoy!